From plumbing supplies to ladders, Contractor’s Solutions has the van racks you need to safely transport your equipment to your job site. 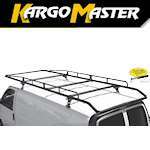 We carry racks from Cross Tread and Kargo Master, which both hold reputations of industry standard quality. 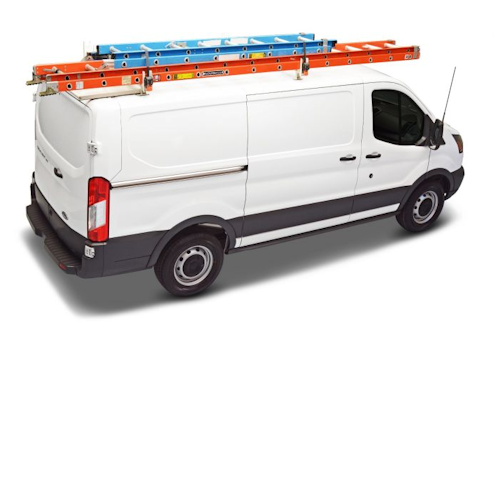 Whether you need a full-length rack, a drop-down ladder rack, or even convenient accessories to add to your own van rack, Contractor’s Solutions has the right rack for your van. Not only does Contractor’s Solutions have racks for commercial Ford, GM, and pre-Sprinter vans, but we also offer racks that can be mounted on your mini-van. 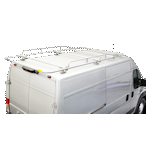 Most of these van racks come in your choice of lightweight, sturdy aluminum or tough, durable steel, mounting directly to the roof of your van with clamps to ensure easy installation. 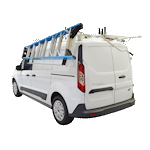 Depending on which rack you choose, these van racks allow you to strap your tools down to cross-bars or full-length bars, which protect you, your load, and your van. With a weight capacity ranging from 300 lbs. to up to 800 lbs, these van racks possess the toughness needed to bear heavy items. Contractor’s Solutions provides you with excellent van racks, outfitting you with equipment to deliver your tools wherever you need to go. Though vans in themselves are capable of holding many items inside its cargo area, items that are long or oversized, such as lumber or carpet rolls, need to be transported using a rack on the roof of your van. Take your pick from the selection of van racks offered by Contractor’s Solutions.